AULOS supports and connects artists with event organizers and new audiences to nourish an endless passion for music. With great musical passion, AULOS supports a wide range of musicians and projects in the space where music meets theatre, art and dance. AULOS represents national and international musicians, music ensembles and music companies who bring sublime performances to the stage. From tapping into their network of national and international concert organisers and press, to handling administration, promotion, sponsorship, and recording, AULOS is committed to supporting artists so that they can focus on their artistic creation. Marjan Hellraeth founded AULOS in 2011 as a spin-off of Musica et Poetica vzw, an organization focused on hosting living room concerts across Flandres. This exceptional format that still lives on with success. In 2015, Ann Geerts joined the team. Bringing her extensive experience in event production, along with exceptional organisational and administrative skills, Ann reinforces the expertise of AULOS to create beautiful projects. Marjan and Ann strongly believe in transparency and personal contact. Quality, efficiency and professionalism are just a few values that AULOS holds to heart when organising an event or a music production. The duo are highly appreciated for their enthusiasm and expertise within this fast-moving cultural landscape. AULOS is legally represented by Caro di piu vzw. Composition of the Board of Directors: Pascal Mallien; Stef Achtergaele ; Bénédicte Jacqmain. "We got to know AULOS after we won ‘the Future Sound of Classical Music’ (2014) at BOZAR. Before the award ceremony Marjan Hellraeth asked us to work together, without even knowing we were going to win. She trusted in her gut feeling, and has a strong belief in our ensemble." "I would like to take the chance to say thank you for your energetic input and the way you helped to shape the funeral of my beloved mother. I don’t even know you in real life, but still you played an essential role in one of the hardest times in my life." An ‘aulos’ (Ancient Greek: αὐλός, plural αὐλοί, auloi) or tibia (Latin) was an ancient Greek wind instrument, depicted often in art and also attested by archaeology. The ancient Roman equivalent was the tibicen (plural tibicines), from the Latin tibia, "pipe, aulos." The earliest surviving examples of auloi have been found at Koilada, Thessaly and date from the Neolithic period (c. 5000 BCE). Marjan Hellraeth started to organise concerts and word performances in 2003 in the cosy setting of a living room under the name of MUSICA et POETICA. MUSICA et POETICA vzw supports young talent, stimulates quality arts and brings it in the intimate setting of a home. The spectator enjoys inspiring performances at a professional level in a particular context. 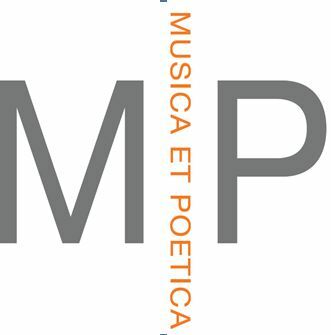 More info about MUSICA ET POETICA.